The NEB will impose 156 conditions on the Project if it is approved, and has made 16 new recommendations to the Government of Canada. The recommendations relate to matters that fall outside of the NEB's regulatory mandate, but within the authority of the Government of Canada. The Reconsideration report concludes that Project-related marine shipping is likely to cause significant adverse environmental effects on the Southern resident killer whale and on Indigenous cultural use associated with the Southern resident killer whale. The NEB also found that greenhouse gas emissions from Project-related marine vessels would likely be significant. While a credible worst-case spill from the Project or a Project-related marine vessel is not likely, if it were to occur the environmental effects would be significant. 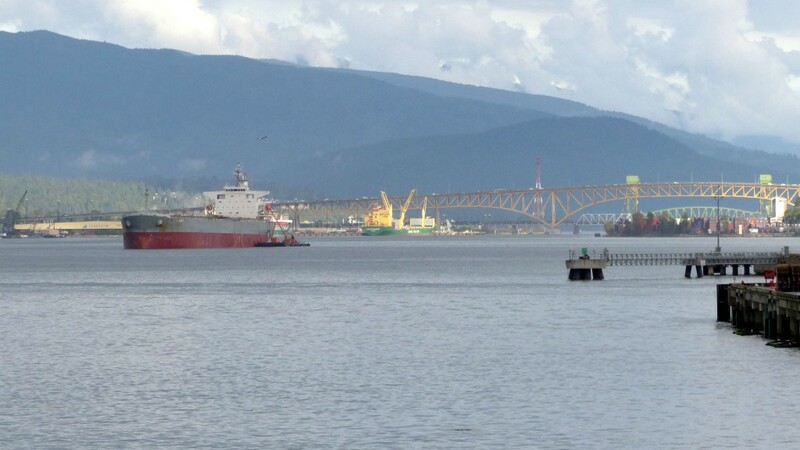 While these effects weighed heavily in the NEB's consideration of Project-related marine shipping, the NEB recommends that the Government of Canada find that they can be justified in the circumstances, in light of the considerable benefits of the Project and measures to minimize the effects. "As indicated in the NEB's report, the NEB has delivered a comprehensive, evidence-based, fair and meaningful review of Project-related marine shipping, within the timeline required by the Government of Canada. The NEB listened to a range of diverse views and carefully considered all of the evidence submitted, the results of which are reflected in the conclusions, conditions and recommendations presented in the report," said Dr. Robert Steedman, Chief Environment Officer, National Energy Board. The considerable benefits of the Project include increased access to diverse markets for Canadian oil; jobs created across Canada; the development of capacity of local and Indigenous individuals, communities and businesses; direct spending on pipeline materials in Canada; and considerable revenues to various levels of government. The Reconsideration specifically examined the impacts of Project-related marine shipping related to the application of the Canadian Environmental Assessment Act, 2012 and the Species at Risk Act (SARA), as per the Government's direction to the NEB in September 2018. The NEB has completed the Reconsideration within the 155 day timeline required by the Government of Canada. If the Project is approved by the Government, the company must comply with 156 conditions, covering a wide range of matters including: emergency preparedness and response, protection of the environment; consultation with affected Indigenous communities; socio-economic matters; pipeline safety and integrity; commercial support for the Project prior to construction; and financial responsibility on the part of the company. In addition, the NEB has made 16 recommendations to the Government of Canada related to Project-related marine shipping, including: cumulative effects management for the Salish Sea, measures to offset increased underwater noise and increased strike risk posted to SARA-listed marine mammal and fish species, marine oil spill response, marine shipping and small vessel safety, reduction of GHG emissions from marine vessels, and the Indigenous Advisory and Monitoring Committee for the Project. The NEB was given 155 days to complete its reconsideration. In the Reconsideration hearing, there were 118 Intervenors who participated, including 52 Indigenous groups and individuals, and 8 federal government departments; 81 Intervenors who filed written evidence; 44 Intervenors who asked information requests of other Parties (including of Trans Mountain and federal government departments); and 25 individual Oral Traditional Evidence sessions in Calgary, Victoria and Nanaimo. The Reconsideration hearing offered a fair and meaningful opportunity to Parties to participate and to fully present their case and represent their diverse points of view. This included an opportunity to comment on the scope of the environmental assessment and the design of the hearing process, file evidence, present Indigenous oral traditional evidence, question the evidence of other parties, comment on the draft conditions and recommendations, and present final argument. The NEB's Reconsideration report has now been submitted to the Government of Canada. The report is one of the factors that the Government will consider when making the final decision on whether or not the Project should proceed.